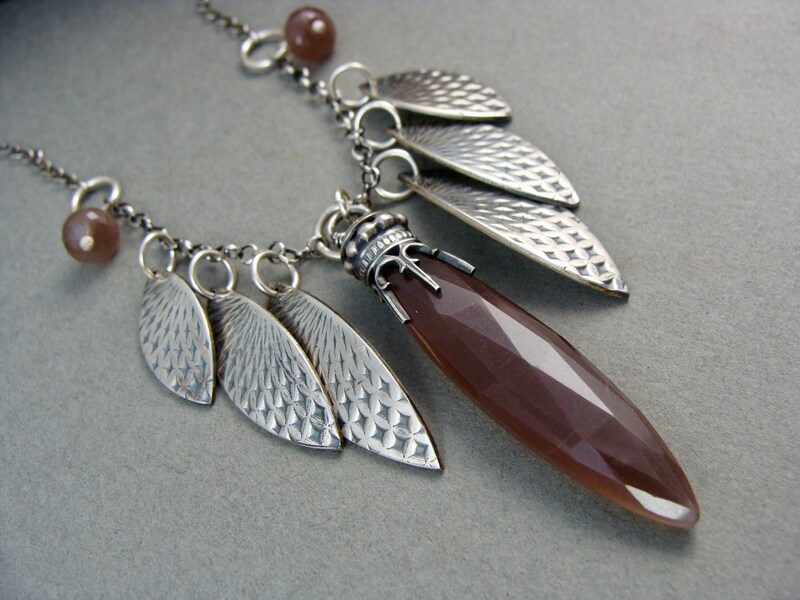 This warm chocolate moonstone has lots of diamond facets catch the light. The gem has been given a handmade, finely detailed sterling silver embellishment. 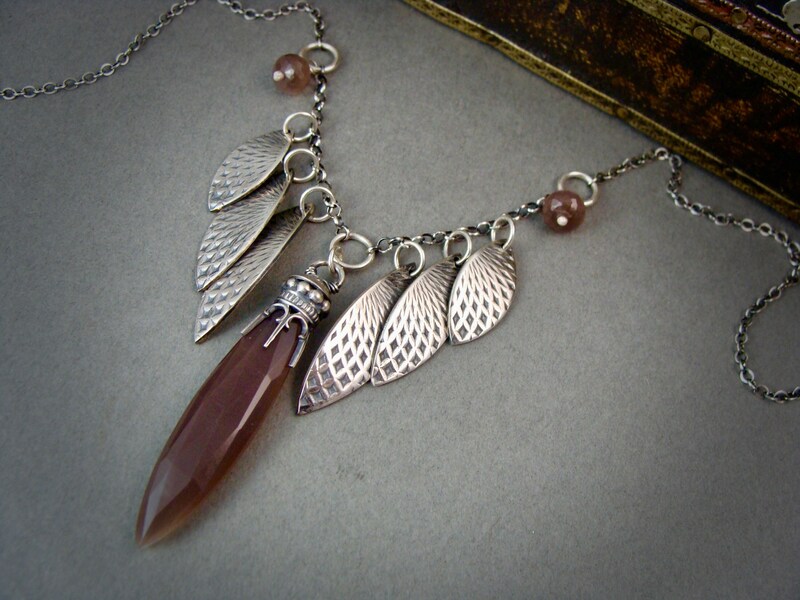 The central stone has been accented with dagger shaped sterling silver petals. The petals have been hand cut and roller printed with a tiny diamond motif that radiates towards the center stone. 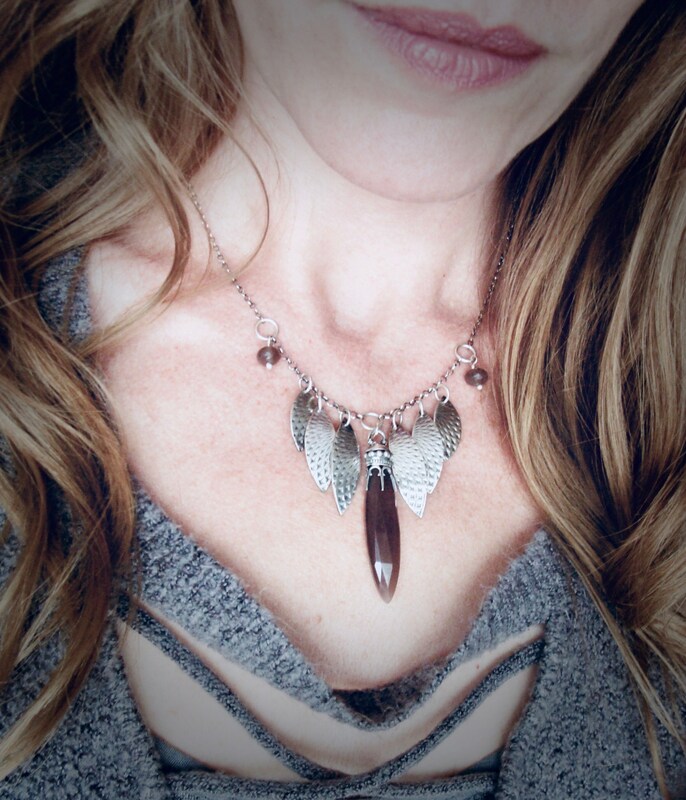 The elements of the necklace have been given a dark patina to add drama and contrast..
☞ Size~ the necklace grouping is 3" long. Modeled on a 16" and 22" chains. *Each necklace is made by hand. 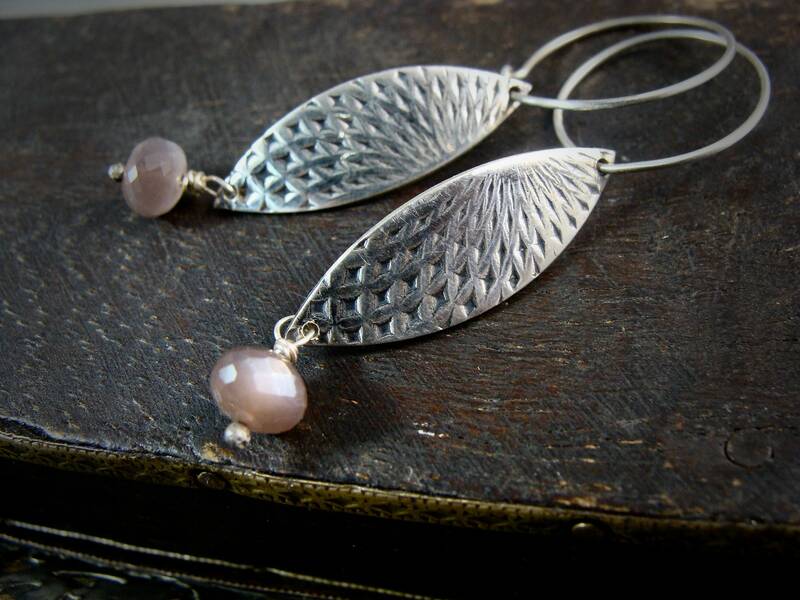 I use natural gemstones so expect slight variation in gemstone length. 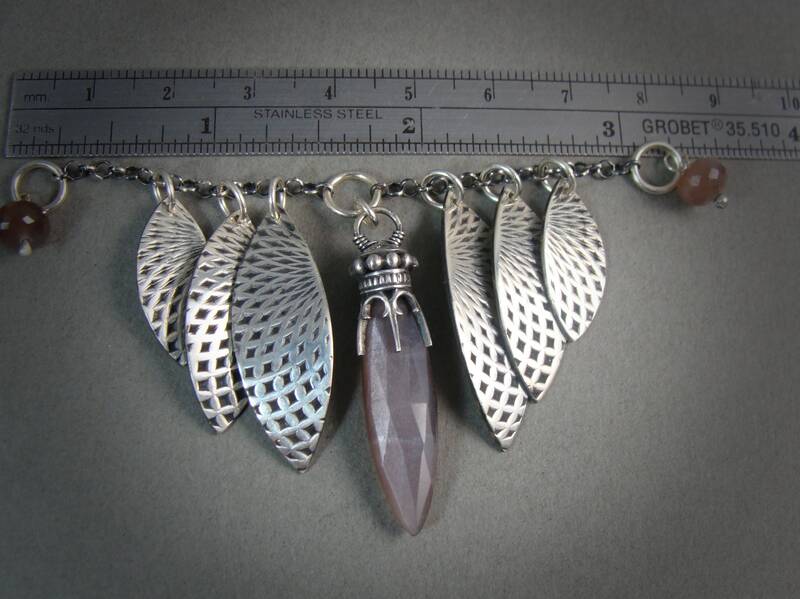 *The last photo shows the size of the stone I have in stock. Coordinating earrings available in my shop. ☞ Boudicca was a warrior Queen who fought back the Roman invasion of Celtic Britain circa 61 AD. 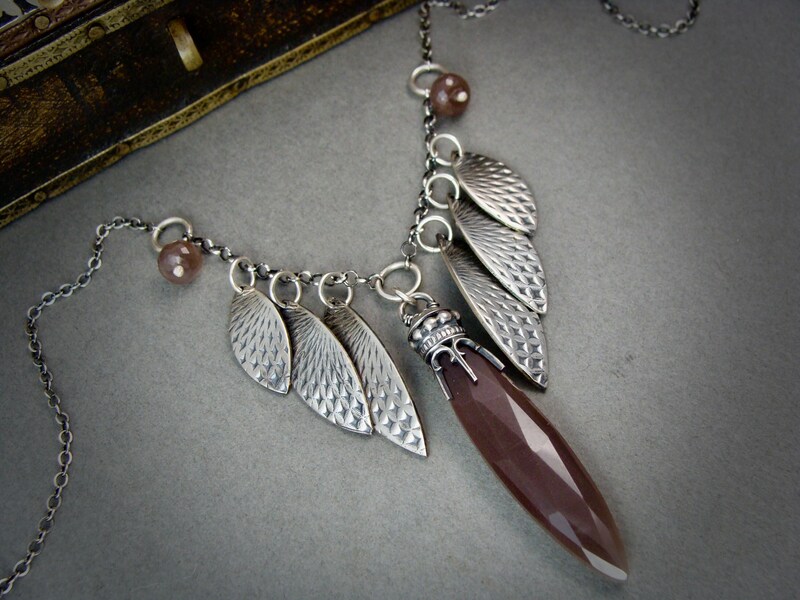 This necklace is just stunning! !